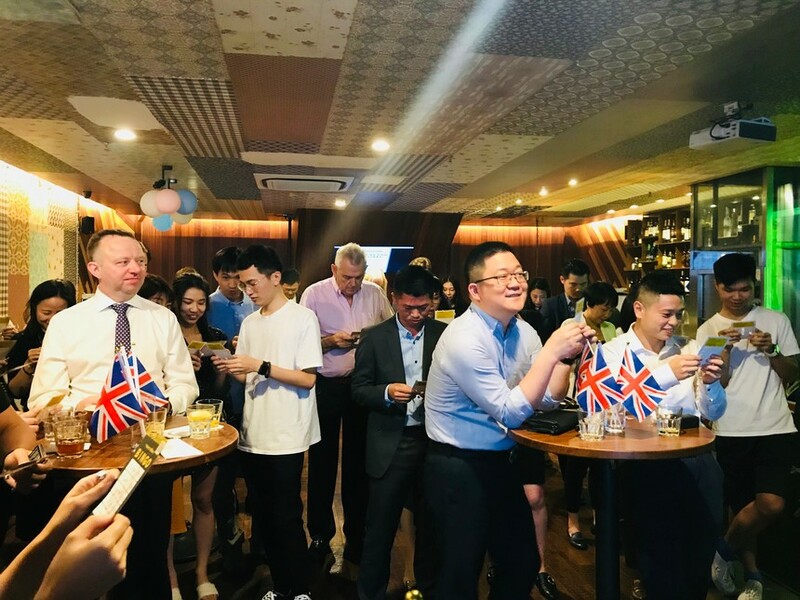 In order to show our gratitude to the sponsors who contributed to our successful signature event – British Day 2018, the BritCham team organised Thank You Drinks on 6th November at the Happy Monk. 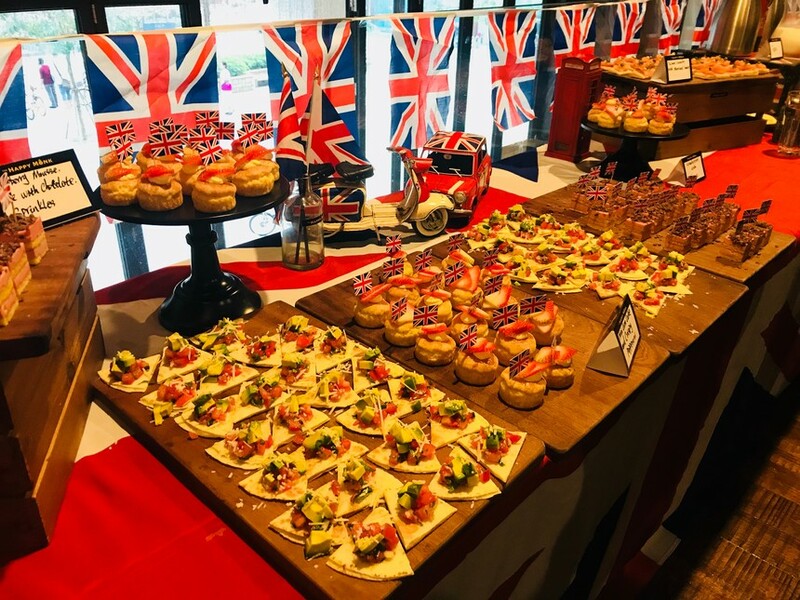 With Union Jack flags decorating the venue, British snacks and beverages being served, and British music and games provided, the BritCham team entertained our guests to help them escape from a busy workday afternoon. 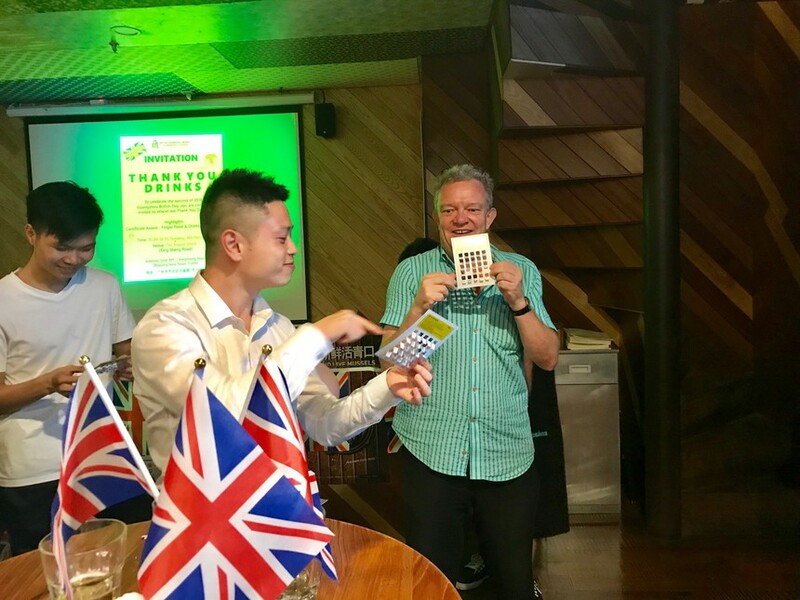 Our President Jeremy Sargent introduced a fun British game called Bingo which successfully caught everyone’s attention with each number being greeted with excitement or disappointment. This was followed by awarding certificates to give official acknowledgement to all of our sponsors’ contribution. The Thank You Drinks was a great success and the BritCham team are looking forward to cooperating with our members and sponsors again for British Day 2019. Let’s stay in touch! 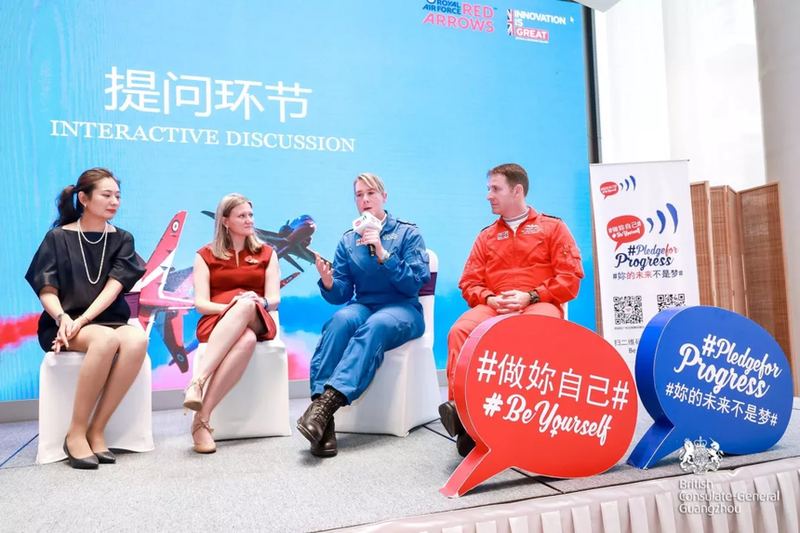 “Be Yourself” Interactive Workshop with the Red Arrows was held on 8th November 2018 at Shenzhen Bay Club. “Be Yourself” is a China-wide campaign focused on empowering women in society and in the economy. Ms. Karen Maddocks shared her experience in achieving a balance between her role as a wife and mother as well as General Consul in the workplace. She also encouraged women in the workplace to face challenges and fight for their rights giving her own example. This year it was our honour to invite the Red Arrows to join us. The Red Arrows are officially known as the Royal Air Force Aerobatic Team and the public face of the Royal Air Force. Alicia Mason is a female engineer in the team. 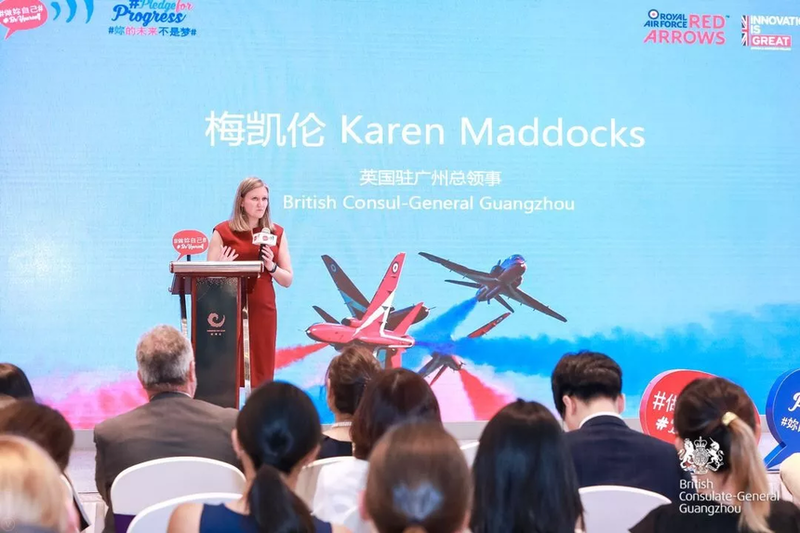 She talked about her leadership and teamwork with other male colleagues in the aerobatic team of the Royal Air Force which is traditionally dominated by men. 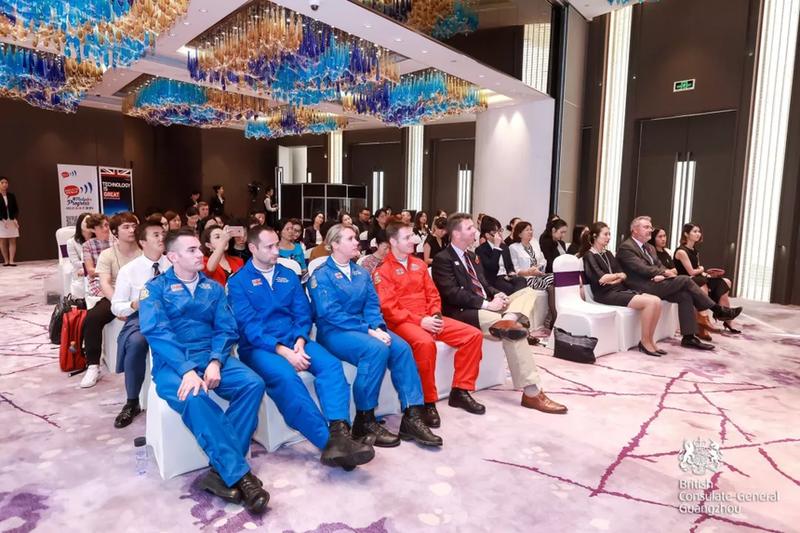 Speakers’ stories inspired both male and female audience to rethink about the gender bias in workplace and life and encouraged them to take actions to conquer this problem. As a supporter, BritCham is glad to contribute to the “Be Yourself” workshops as always and we are looking forward to the next one to come. See you next time! 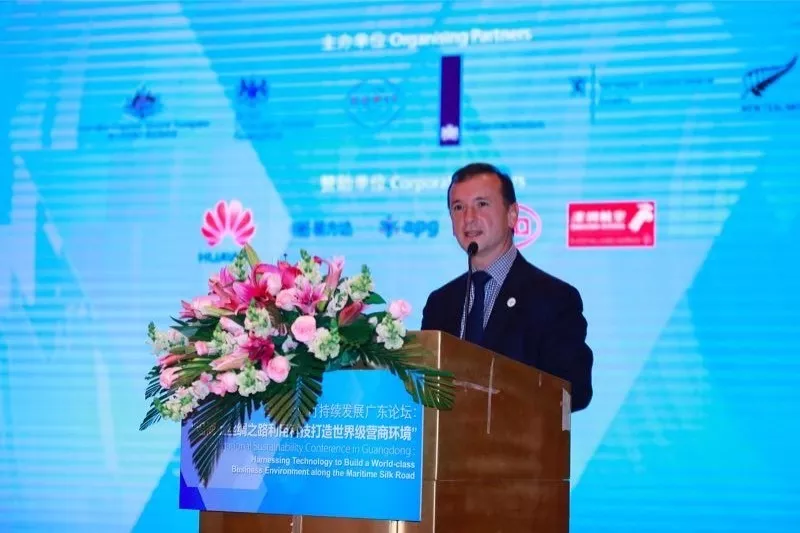 The International Sustainability Conference in Guangdong: Harnessing Technology to Build a World-Class Business Environment along the Maritime Silk Road was held on Thursday, 8th November 2018. 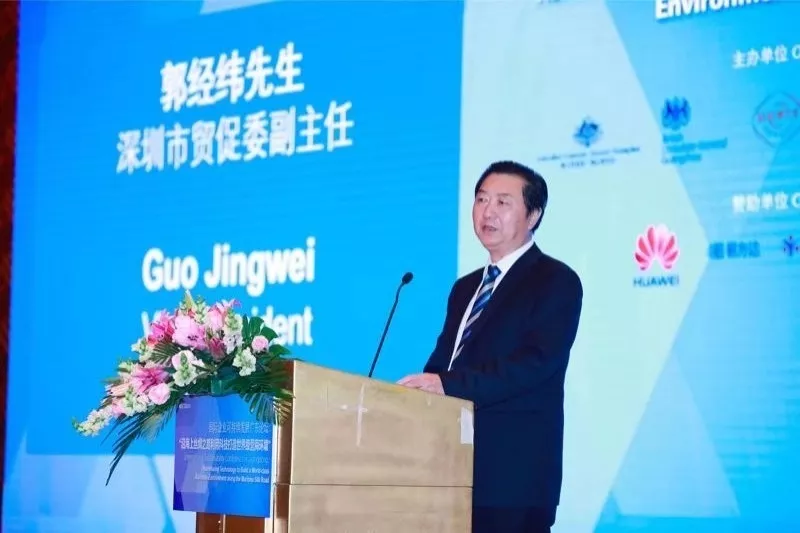 It brought together over 300 speakers and delegates from business, academia and government to discuss operations along the Belt and Road Initiative and in the Greater Bay Area. During the conference, experts shared industry insights with practical examples through a series of keynote speeches, roundtable discussions and workshops covering environmental protection, sustainable supply chain management and gender mainstreaming. The conference created a platform that connected like-minded professionals and organisations to promote sustainable global businesses, facilitated new business opportunities and cross-sector partnerships, and catalysed collective impact in the region. 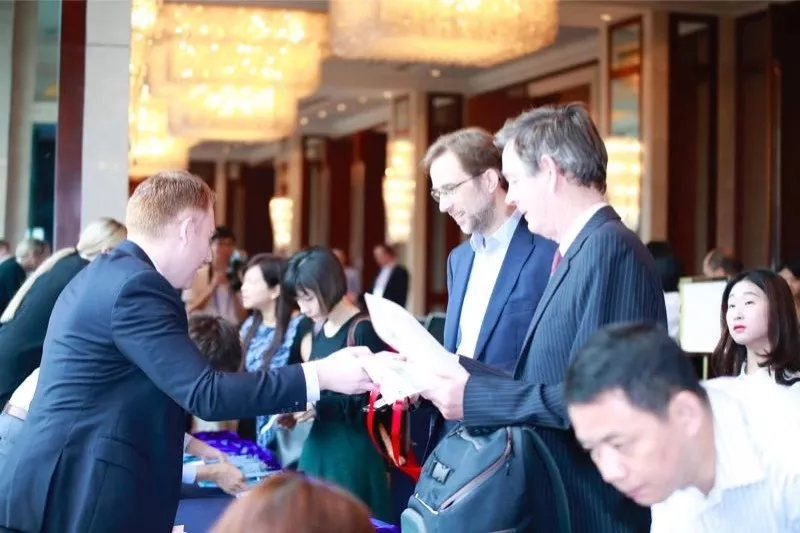 It was an honour for the BritCham to be one of the supporters of such a significant conference, because it corresponds with our mission which is to help our members to build strong and sustainable connections and develop their business in China.